We install and service HVAC equipment of all brands and models, residential and commercial. By subscribing to our recurring annual service agreement, you will receive a tuneup to your home comfort system twice a year. This tuneup helps ensure that your system will continue to run at optimum efficiency while also checking for any signs of compromised components that may lead to a break down later in the year. This service agreement covers the inspection of a single furnace and a single air conditioner. We thoroughly inspect both pieces of equipment and provide you with a detailed report of our findings along with any repairs that we suggest. Should we need to replace any parts, you will receive a 15% discount. THE OLD… Fifty years ago customer service meant something completely different than it does today. No one had to say “we provide superior customer service” because everyone did. It was a given. Your promise was your word. You never had to question whether someone would follow through and deliver. People took pride in their work and had real relationships with their customers. They were friends, neighbors and family. Today common sense isn’t so common. And neither is customer service. HARMONIC WAS FOUNDED WITH THESE CLASSIC VALUES IN MIND. THINGS LIKE… Punctuality Honesty and integrity Empathy Standing behind your work Upfront and fair pricing But at the same time, we don’t live in the past. THE NEW… Technology is changing at a rapid pace. Green energy, the internet and 24/7 connectivity have forever altered the way we live. Harmonic uses all of these to improve our products and the way we communicate with our customers. 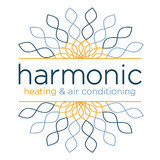 AT HARMONIC… Communicate however you’d like. Facebook Messenger, text messaging, phone, email We’re always searching for new cutting-edge products to make your life more comfortable Our website scheduler is available 24/7 to book your service call We offer only products we’ve tested in our own homes first. For over nine decades, the Dykstra family’s heating and air conditioning company has been servicing the south suburbs of Chicago, IL. Founded in 1926 by David M. Dykstra, the company continues to service the Chicagoland area and surrounding suburbs under David’s son, Richard C. Dykstra, Sr. Also, joining Richard, Sr. are his children, Jennifer Milazzo and Richard Dykstra, Jr. Both then and now, Dykstra Home Services has remained dedicated to providing the best customer service possible and is committed to leaving its serviced communities happy and comfortable. Check out our timeline for more information about the evolution of Dykstra Home Services. CK Mechanical serves the Chicagoland area with professional heating, cooling and indoor air quality services for both residential and light commercial clients. From installation to preventative maintenance and repair, our experienced crew does it all. CK Mechanical is fully certified, licensed, and experienced in all areas of heating and air conditioning service and repair. If you require attention on your heating or cooling system, give us a call. You'll be glad you did. We provide professional design of heating cooling, and duct work. Same Family owned and operated since 1935! Big enough to do the job small enough to care. Heating repairs and new installations. Air conditioning repairs and new installations. Water heaters and tankless water heater installs. We also provide all aspects of indoor air quality and attic insulation. We do not service or install window air conditioners. At JC Heating & Cooling, Inc, we can install or design any type of heating or cooling system required in your home or light commercial building. We install high-efficiency comfort systems designed to be the most cost-effective on the market and geared to your particular property. Browse our site to familiarize yourself with the solutions and products we offer and remember! we offer free estimates and are always here to serve your heating & cooling needs. We at Design Toscano pride ourselves in attention to detail. By traveling directly to the source for all the historical replicas we represent, over 90% of our products are exclusive to the Design Toscano brand. This allows us to present unique items unavailable anywhere else. Design Toscano offers specialty home and garden decor, reproduction furniture, wall decor, indoor statues, garden statues, and exotic, one-of-a-kind home accents and gifts. Founded in 1990, Design Toscano has also introduced a broad collection of themed products, including but not limited to angels, animals, dragons & gargoyles, Egyptian, medieval & gothic, fountains, and classic statues. Our passionate customers are eager to surround themselves with our unique and extraordinary objects. Today, we have over 6,000 items available online. And of course, our distinctive catalog can still be delivered to your door. Many Design Toscano products have been featured in the SkyMall in-flight catalog, and a number of our creations have become famous in national broadcast, print, and social media, including our iconic Garden Yeti, unforgettable Zombie of Montclaire Moors, and renowned Globe Bar. At Design Toscano, you can expect the extraordinary for your home and garden. 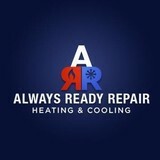 A family owned heating and cooling company. Founded in 1980. Our goal is to provide our services to our neighbors and provide quality of services for a very affordable prices. This days yo have to be careful on who comes into your home. South Suburban Heating & Air Conditioning, Inc. is a family owned and operated full service HVAC company. For over 60 years we have provided the highest quality products and services for our customers. We excel at customer service and quality to provide years of comfort and efficiency. We install and service only the highest quality products for today's discriminating buyer. Bella Heating & Air Conditioning is a full service Chicago Heating and Air Conditioning service. Located in Cary, Illinois, we serve the entire Chicagoland area with years of experience skillfully servicing, designing, and installing complete home comfort systems. We have solutions for all of your heating and cooling needs. From preventative maintenance tune-ups, energy audits, and repairs of your current system to properly designing and installing a new system that will meet all of your homes comfort needs, we do it all. With roots dating back 100 years, THE Air Conditioning and Heating Company built its reputation by providing expert air conditioning and heating maintenance, repairs and installations throughout Chicagoland’s western suburbs. For nearly 30 years, CEO Ray Grimm has overseen the business’ expansion, and now he offers a total company reinvention with A.W.E. Air. Water. Energy. We are in the comfort business and provide peace of mind to our customers with 24 hours a day 365 days a year service. Our mission is to acquire and retain customers and provide the best over all value in products and services. Four Seasons Heating, Air Conditioning, and Plumbing was founded in 1971 with a single truck and a single goal to provide exceptional HVAC services at a quality price while maintaining a higher level of integrity as a business. Over forty years later, this goal has helped drive Four Seasons to become the Midwest's largest HVAC contractor in the Midwest. The once localized service area has now expanded to reach the entirety of Chicago land and Northwest Indiana as a staff of over 500 employees and a fleet of over 400 vehicles continue to uphold the ideals that founded this company. Call Four Seasons today for all your heating, air conditioning, or plumbing issues. Offering 24 hour repair services with no additional fees for nights, weekends, or holidays, Four Seasons is always ready to provide a solution whenever you need us. Generally, Libertyville HVAC contractors or HVAC technicians work with or run companies that repair or install heating systems and air conditioning units for homes. But they have specialized services too. For example, if you are a wine collector and you are thinking of installing a wine cellar in your Libertyville, IL home, you might hire an Illinois HVAC professional who specializes in refrigeration work. HVAC professionals can use their skills to help you to save money on your Libertyville, IL home’s energy bills by installing radiant barriers in your attic or split-zone heating and cooling systems to heat rooms like solariums while cooling upstairs bedrooms during warmer temperatures. If you or a family member suffers from allergies, you’ll want to find an Illinois HVAC technician who is knowledgeable about the latest cooling and heating products that include antiallergen filters. Contractors who work in the HVAC industry keep up on the latest in heating and air conditioning technology so outdated or troublesome systems can be retrofitted with newer, more energy-efficient models. Some of these professionals may work with your contractor, builder or other home improvement professional to get the job done. Find HVAC contractors on Houzz. Look in the Professionals section of our website and search for Illinois HVAC contractors. Read reviews and see how an HVAC contractor might approach your Libertyville, IL home’s heating and cooling challenges.